DJ Sam had the pleasure of being invited to DJ at the International Wildlife Family Fun Day hosted by Logan Art Gallery. You could feel the love and support of the fantastic community as soon as you entered the market area. The sun was shining and what an amazing community event to be involved in. Wow! Where do we begin? The community spirit was shining through with visitors, mums, dads, grandmas, grandads, boys, girls, and market stall workers rolling in. There were creative markets, free arts and crafts for the kids, food trucks, facepainting, local art, animal photo booths, tropical animal jumping castle and Old Macdonalds animal farm, even the baby lambs and ducklings seemed to be singing along to the animal themed music. 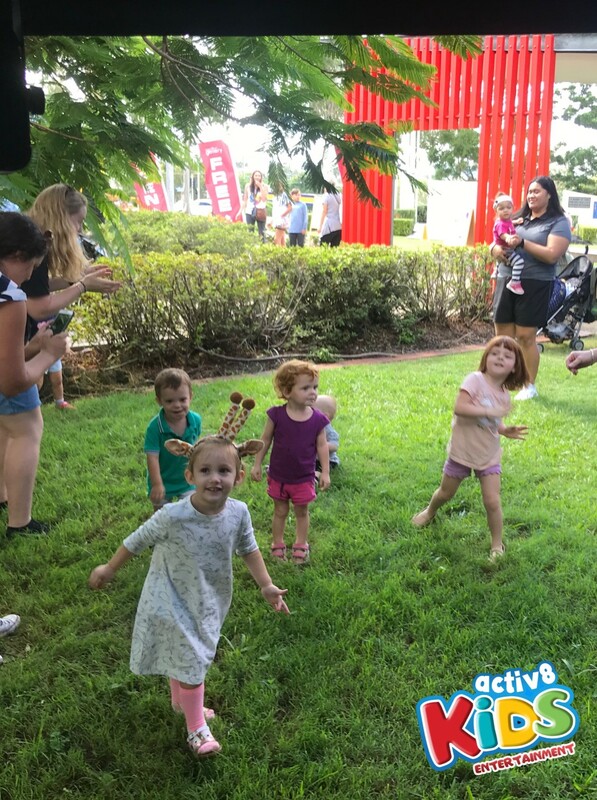 Most importantly Activ8 Kids Entertainment were proving groovy tunes and kids entertainment all day long! DJ Sam was set up under a leafy tree with an awesome green grassy dance floor. The adults were able to relax and have a coffee from the local coffee cart while the kids made their way to the dance floor. It wouldn’t be an animal themed disco without some ‘Hakuna Matata’, ‘The Lion Sleeps tonight’ and for the adults Toto’s ‘Africa’. Some other hits included madagascas, ‘I like to move it’, ‘Under the Sea’ from The Little Mermaid and of course Moana’s ‘You’re welcome’. WHAT DOES THE FOX SAY also made a few appearances throughout the day, definitely a crowd favourite! 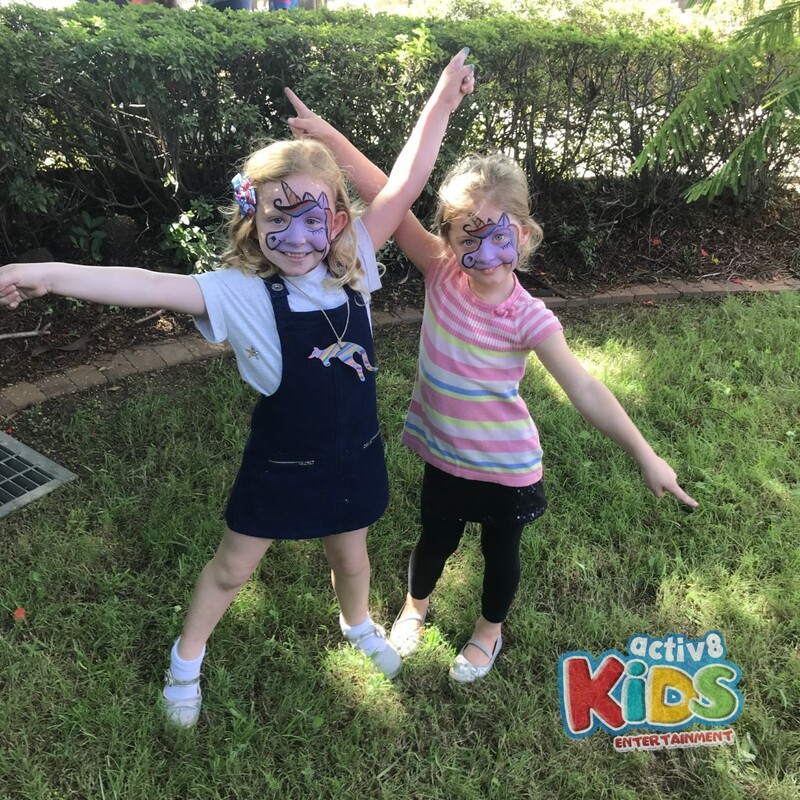 We showed off our fox moves by singing along “Big blue eyes, pointy nose, chasing mice and digging holes!” We did all the moves along with some other creative ones the kids came up with. It was now time for the kindy kids and babies to make their way to the dance floor. The Wiggles didn’t make an appearance but DJ SAM did her best to replicate The Wiggles with a one woman interactive show! We did SO many wiggles songs, we were wiggling for about an HOUR! Lots of Emma Wiggle fans flocked to the dance floor with tunes such as ‘Say the Dance, do the Dance’, ‘Point your fingers and do the twist’ and we can’t forget the ‘Propella’. All of the young kids and even the adults were propelling around the dance floor. You’re never too old for the HOT POTATOE even the big kids were back on the dance floor showing off their mashed bananas and cold spaghetti moves! All of the boys and girls and mums and dads had a great time on the outdoor grassy dance floor showing off their moves and enjoying the beautiful day. 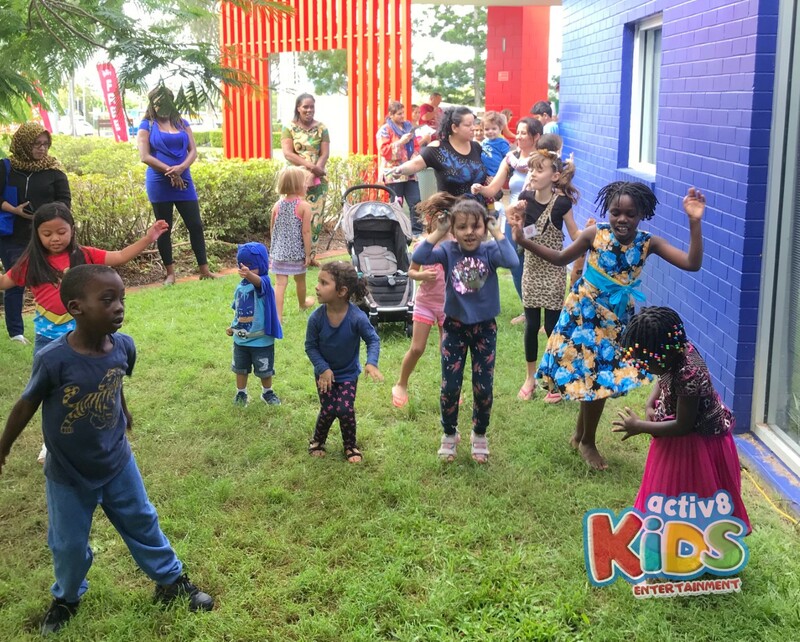 It rained for about 10 minutes in the afternoon but that didn’t stop the kids from dancing! Of course we had to play ‘Singing in the Rain’. Thanks for having us Logan Art Gallery, DJ had an awesome time dancing and singing all day long in the sunshine and the rain.